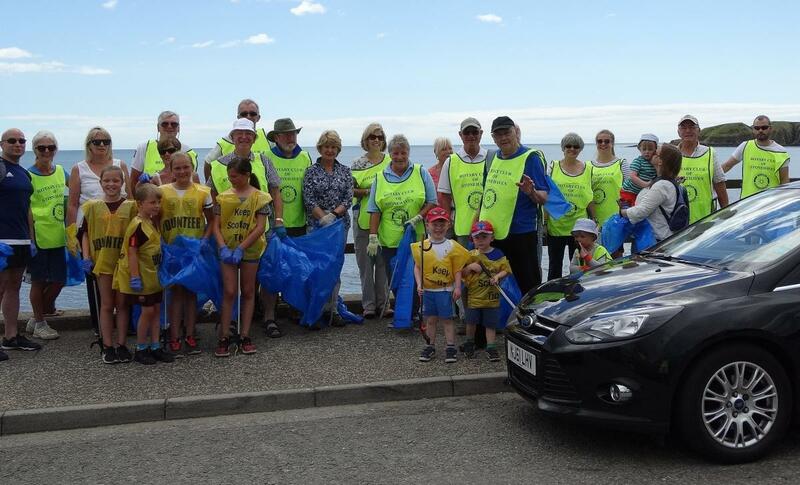 On Sunday 8th July, twenty-eight Stonehaven Rotary Club members, family and friends volunteered for the Club’s first Beach Clean. The Club had support and guidance from SAS (Surfers Against Sewage) a marine conservation charity working with communities to protect our seas, beaches and marine life. Inspired by David Attenborough’s Blue Planet II – the Club are also supporting the hashtag - #2minutebeachclean - which is encouraging us to spend just two minutes picking litter on the beach or anywhere that will help improve our environment.